Natural rubber stopper without holes. According to DIN 12871, good resistance to acids and lyes. Natural rubber stopper with one 7 mm hole. 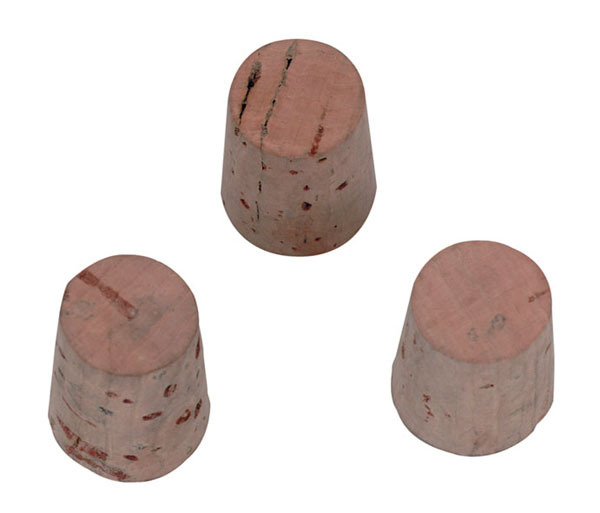 Natural rubber stoppers with 1 hole, various diameters. Natural rubber stopper with two 7 mm holes. Natural rubber stopper according to DIN 12871. In sets sorted by size. Natural rubber stopper according to DIN 12871. Several sizes together in sets, with and without holes. Silicone rubber stopper without holes. Temperature resistance -50 ... 250 °C. Silicone rubber stopper with one 7 mm hole. Temperature resistance -50 ... 250 °C. Silicone rubber stopper with two 7 mm holes. Temperature resistance -50 ... 250 °C.